A binary counter is a chip designed to count the number of pulses or events that occur in digital circuits. These chips memorize the events and show the count of events at output port. The chip memorizes the event and shows the output in binary code, hence the name BINARY COUNTER. 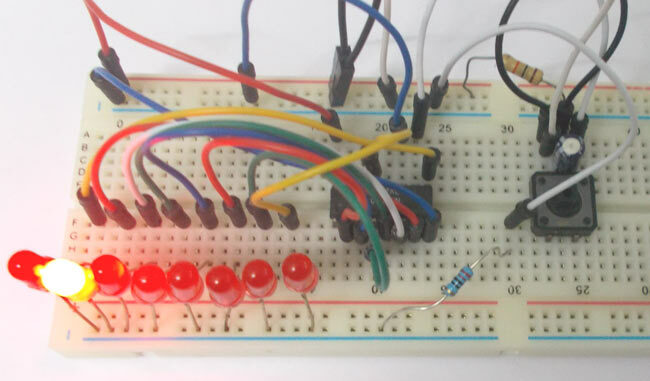 What binary counter does it each time a pulse is appeared at clock pin, it counts it and stores the value. We will discuss more on that in the working part. Here we are going to use a 12 bit binary counter. The counter chip is 74HCT4040.